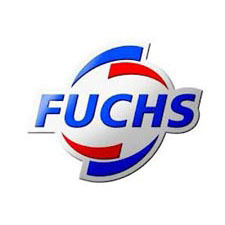 FUCHS, founded in 1931 as a family firm in Mannheim, Germany, is nowadays a globally operating corporation, and the world's leading supplier of lubricants among the independent companies. FUCHS is a top-ranking front-runner: with a complete range of lubricants as its core program. With customized specialty solutions for multifarious market niches to complement its standard products. With comprehensive consultancy and service capabilities. FUCHS offers lubricants for hundreds of applications - including lubricants for car-drivers and motor-cyclists, goods transport, passenger traffic, mining companies, the steel industry, vehicle and machinery construction, the building trade and agricultural equipment.